BlackBerry customers across India, as well as in some other countries, were not able to send and receive emails on May 3, 2013. The subscribers were not able to get messages through the BlackBerry messenger, as the Canadian company services were disrupted for a few hours. Other users on the social network said that the enterprise service of the company were not working as well. The company on the other hand, said that the service was down just for some time and that the restoration work was in progress. While acknowledging what the Twitter users said, they elaborated that some of their customers might be facing issues with their services and that all the relevant teams were working to resolve the issue. 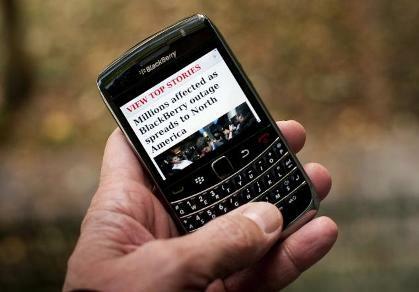 BlackBerry also apologised its customers who were affected. Earlier, the company had faced a 3-day global outage in the month of October 2011 and many of these frustrated users had forced the company to make substantial improvements in the quality of the services.